Horses and riders in a working stock horse competition in Colorado last weekend returned to Nebraska with winning attitudes and awards. 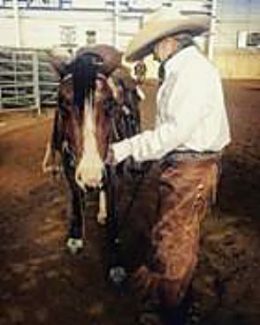 The Aggie Ranch Horse Team from the Nebraska College of Technical Agriculture in Curtis brought home the Reserve Champion Collegiate Team title after three days in the arena at The Ranch at the Larimer County Fairgrounds near Loveland, Colo.
NCTA Coach Joanna Hergenreder said it was the Winterfest Championship Show was the finale for the fall season. 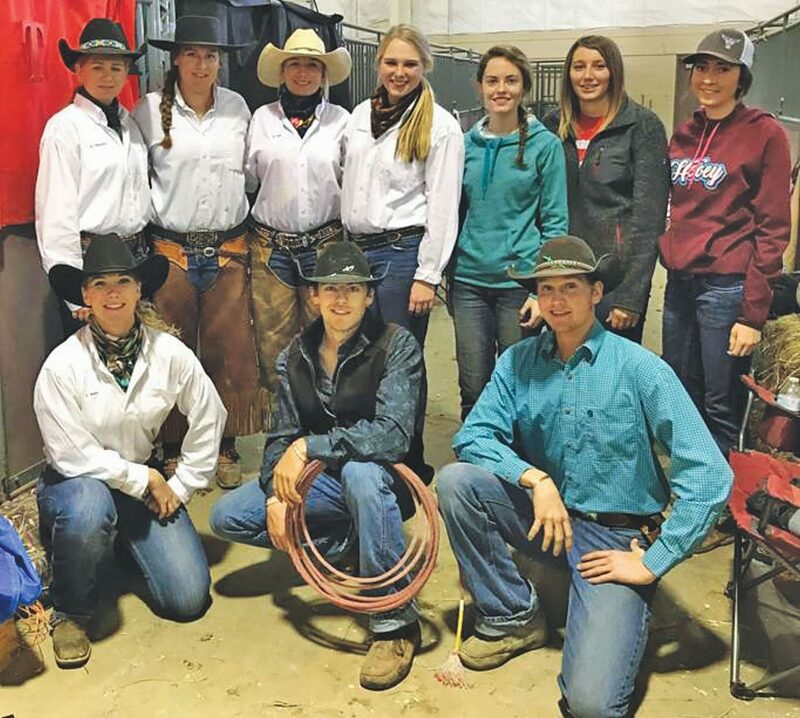 It was hosted by the Colorado-Wyoming-Nebraska (CoWN) Stock Horse Association and drew five colleges, and 150 contestants in all divisions. "Overall, this was a great show for us!" Hergenreder said. "All horses and each rider exhibited great improvement from the last show." The Aggie team members and their horses, either personally owned or school provided, traveled with seven competitors and six student volunteers. "Multiple team members traveled on foot during the contests to assist," Hergenreder noted. "They represented the team very well, from scribing to running the hospitality table to helping with arena gates." Kaitlyn Thesenvitz, Wood River, Zip N On A Breeze, 1st Pleasure, 1st Trail, 7th Reining, 9th in Cow Work. Courtney Leach, Lewellen, Strait Chexy Doc, 4th Trail, 5th Cow Work, 8th Reining, and 8th Pleasure. Sydney Boden, Ord, Sweet Pea, 1st Pleasure, 1st Trail, 6th Reining, 9th Cow Work. Carly Wade, Monroe, Maine, Docs Hot To Handle, 3rd Trail, 4th Cow Work, 5th Pleasure, 8th Reining. Brooklyn Becker, Beaver City, Ratchetts Splashy Fly, 7th Trail, 9th Reining, 10th Pleasure, 10th Cow Work. Huntra Christensen, Lincoln, Satan, in only their second show, 7th Cow Work, 10th Trail, 11th Reining, 14th Pleasure. Elly Dahl, Courtland, Kansas, Jed competed in their first-ever collegiate show placing 8th Trail, 9th Pleasure, and 11th in Cow Work. "We learned a lot this weekend, and will be working diligently to prepare for the spring season, "Hergenreder said. Students can enroll in NCTA equine courses such as basic or advanced equitation, intermediate riding, and finally to advanced performance riding for Ranch Horse Team competitions. Details on the NCTA Ranch Horse Team or the Equine Industry Management program is available at https://ncta.unl.edu/equine-industry-management, e-mail to jhergenreder2@unl.edu, or call 308-367-5291.